Based on the graphic novel by Alberto Vázquez, Birdboy: The Forgotten Children, is a unique animated film set in a post-apocalyptic future that is both singular in its vision and unusual in its execution. There's an almost abstract, avant-garde quality to the direction by Vázquez and Pedro Rivero, who previously directed the Goya award winning short, BIRDBOY, a prequel to their latest film. Off-putting and enchanting by equal measure, Birdboy: The Forgotten Children is unlike anything I've ever seen. It tells the story of three children; a mouse named Dinky, a fox named Sandra, and a rabbit named Zorrito, who are living in a devastated world overrun by demons who infest peoples' souls with bitterness and hatred. 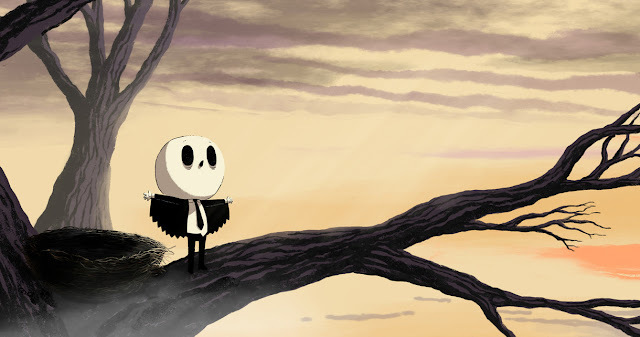 Birdboy is a kind of savior figure, long thought dead and struggling with his own demons (that he contains by using drugs), pursued by police, and villainized by authorities. Birdboy is a former friend of Dinky, and she has always known that there was something special about him. So she and her friends trek across the ruined countryside, facing dangerous and even deadly obstacles, in order to find Birdboy and rescue him from his assailants in order to set the world right again. But even if they do manage find him, the drugs may have completely destroyed the person he once was. Birdboy is both gorgeous and bewildering, beautifully animated but often intentionally abstract and distancing. The world created by Vázquez and Rivero is shockingly brutal and dark, and leaves a lot of room for interpretation. And yet it's almost impossible to look away. It's twisted tale of a devastated world populated my medicated shells of people who keep their demons at bay with illicit drugs is a potent one, to be sure. But it's all just so relentlessly bleak that it almost becomes oppressive. Still, one can't help but admire the artistry and craft on display here. The hand drawn animation is often breathtaking, and its allegorical tale of Christ-like suffering and salvation is a heartrending one. But it's occasionally disorienting story doesn't do its thematic content any favors. As a result, it's a film that's easier to respect than to like, filled with dazzling artwork but saddled with a scattered story that doesn't always connect on an emotional level. 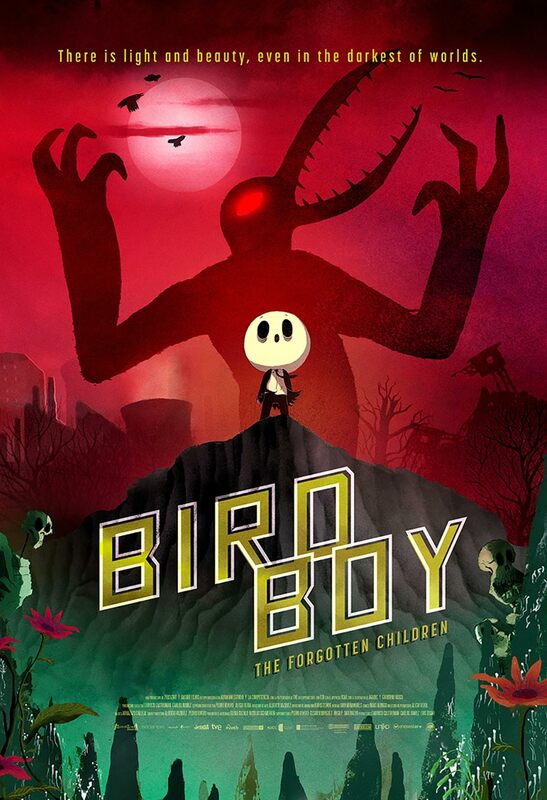 BIRDBOY: THE FORGOTTEN CHILDREN | Directed by Alberto Vázquez & Pedro Rivero | Stars Andrea Alzuri, Eva Ojanguren, Josu Cubero, Félix Arcarazo, Jorge Carrero | Not rated | In Spanish w/English subtitles | Opens Friday, Dec. 15, in select cities.